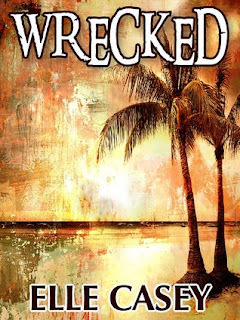 If you liked The Breakfast Club and The Swiss Family Robinson, you'll love WRECKED! An ill-fated Caribbean cruise and four teenagers: a nerd, a jock, a mouse, and a beauty queen... an island, a treehouse, some nefarious interlopers... life and death... fear and loathing... love and laughter. Follow Jonathan, Kevin, Candi and Sarah as they find their typical high school lives and their worlds totally WRECKED. I must say that WRECKED really did remind me of The Breakfast Club which is one of my favorite movies. Needless to say I really enjoyed it =). It wasn't exactly how you would imagine a novel about teens being lost at sea and ending up on an island to be. I enjoyed the story from beginning to end. It was never boring, and sometimes I find some novels end up telling rather than showing, but this novel did a little of both which I really liked. I don't really know how I really feel about a set of twins and a set of siblings nine months apart being the characters of their stories. Its a little coincidental. Like of all the people to go on this business cruise and be forced to hang out its two groups of very closely related teen siblings? In the beginning it kind of irked me a little bit, but once it was the end I was over it and just went along with the story. My best advice would be to tell you to not look at the genre, but just pay attention to the description. This genre is not my forte at all. 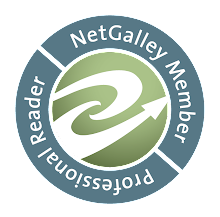 When was the last time I reviewed, let alone read, a YA action/adventure? Oh yea, never, but the description really drew me in so I gave it a shot and I am really glad I did, because I really enjoyed this story. I can't really say too much on what I liked, because I really don't want to give anything away before you read it yourself. I feel like this story is best going into it completely blind besides knowing the obvious that it is about teens who go to high school together, but are not friends in any way, go on a cruise together with their parents for business and end up getting lost at sea and forced to fend for themselves. The only other thing that irked me about this book besides the coincidence was it was a little predictable at times, but you end up liking the story so much that is really doesn't bother too much and you just enjoy the ride. I really liked this story! I was a little hesitant at first, because YA action/adventure isn't my go to genre at all, but the premise really interested me. I am really glad I ending up reading this novel, because it was very good and definitely reminded me of The Breakfast Club like suggested by the author. It was a little predictable at times, but the overall story made up for it. I really loved all the characters, but Candi is by far my favorite. Elle Casey really knows what she is doing as a story teller and I hope to read more by her in the future =). Breakfast Club is one of my favorite movies, so this appeals to me. I am adding it to my every growing list. Thanks for sharing your wonderful views on it and so glad you enjoyed it.